Starting a social enterprise? Embedding social values into an existing business? Creating a sustainable model for your non-profit? Give yourself the best chance of success by immersing yourself in the right environment. Sponsored by Libro Credit Union, the social enterprise incubator gives you a front seat into the world of social enterprise. 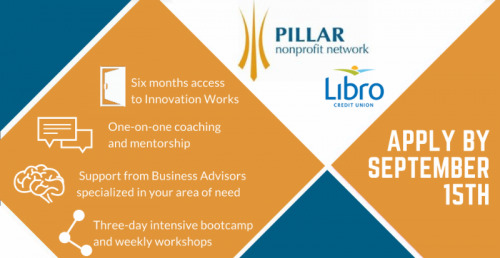 Participants will spend 6 months at Innovation Works working with Pillar social enterprise coaches, Libro Credit Union staff, volunteer Business Advisors and the Innovation Works community. Fill in the application form and tell us how being a part of the Social Enterprise Incubator would benefit you. The application should take 15-20 minutes to complete. Questions? Want to learn more? Not sure if you qualify?